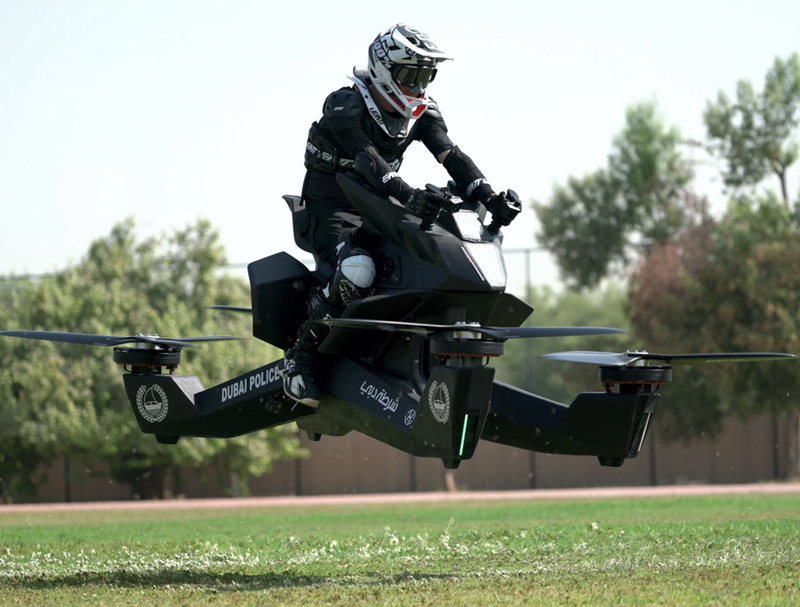 the police force in dubai is testing out the use of hoverbikes. 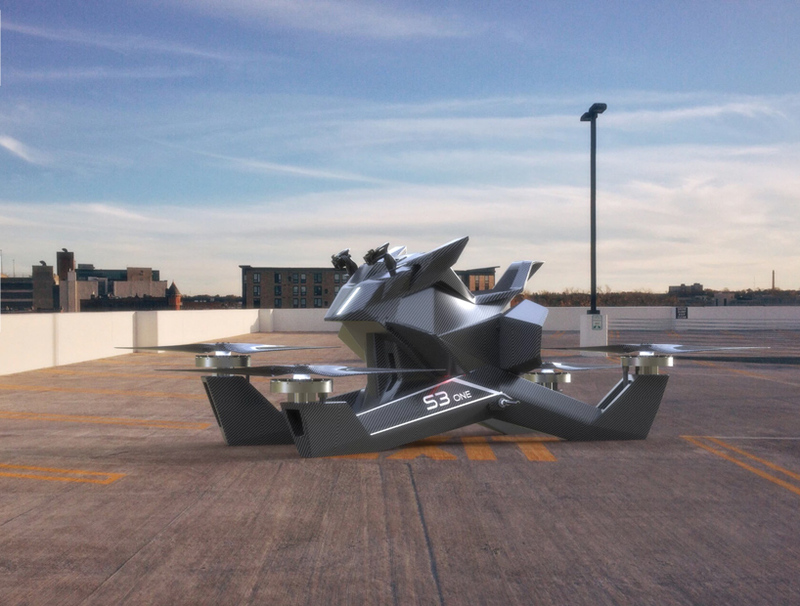 california-based hoversurf has started to train the first dubai police officers to fly its S3 2019 model, an electronic vertical take-off and landing (eVTOL) vehicle capable of hovering above the ground and speeding forward. 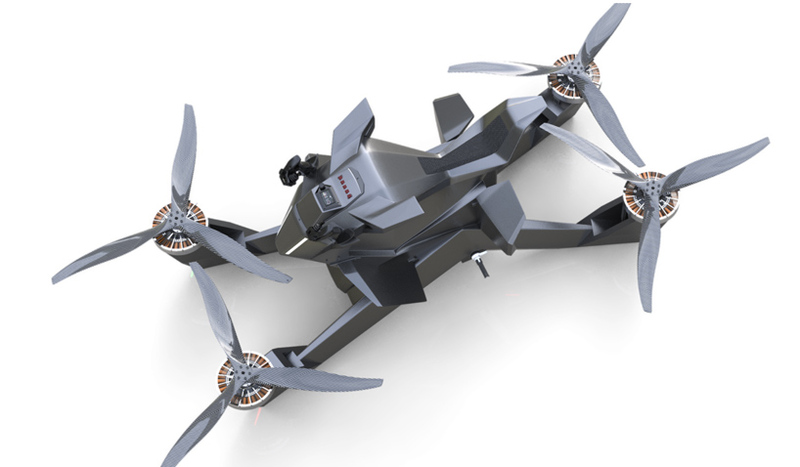 the hoverbike is made of carbon fiber, with the whole frame made as a single element. it has four rotors for taking off vertically and maintains stability because the 5 cm (1.9 in) spacing between the axes. hoversurf says it can cruise at a maximum 60 miles per hour. 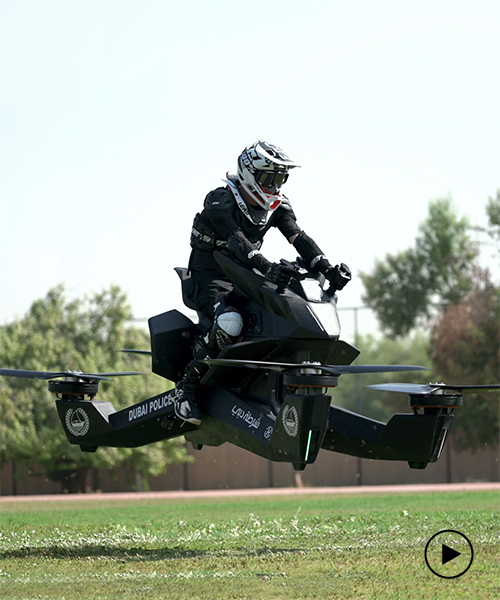 according to CNN, hoversurf has gifted dubai police its first serial production unit of the S3 2019 hoverbikes and has begun training two crews to ride it as part of a ‘first responder unit used to access hard to reach areas.’ the general director of dubai police’s artificial intelligence department, brigadier khalid nasser alrazooqi, said he aims to have hoverbikes in action by 2020. hoversurf insists it’s ready to build upwards of 40 if the dubai police orders them. leading powers in dubai seem to have a sci-fi-inspired vision for its police force, equipping them with the latest in futuristic vehicles. it’s already added a bugatti chiron, lamborghini aventador, and all-electric BMW i3s, all costly investments. whilst the hefty price tag is obviously not an issue in this case, maybe the fact this hoverbike only lasts 10-25 minutes with a pilot, and 40 minutes with one, could be. maybe with a little development or even investment, this might eventually take off for real.